How to choose your tour in Uyuni? 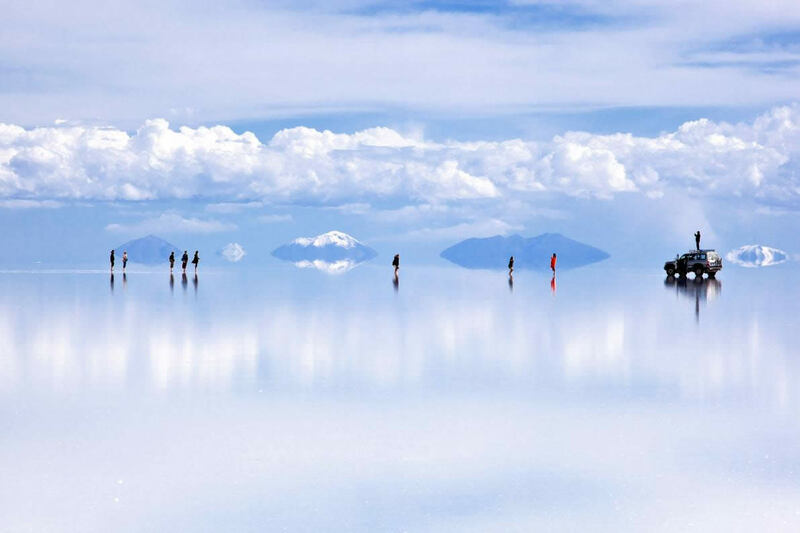 Home » Travel Articles » Uyuni » How to choose your tour in Uyuni? This article will help you to choose your ideal tour for visiting the Uyuni region. 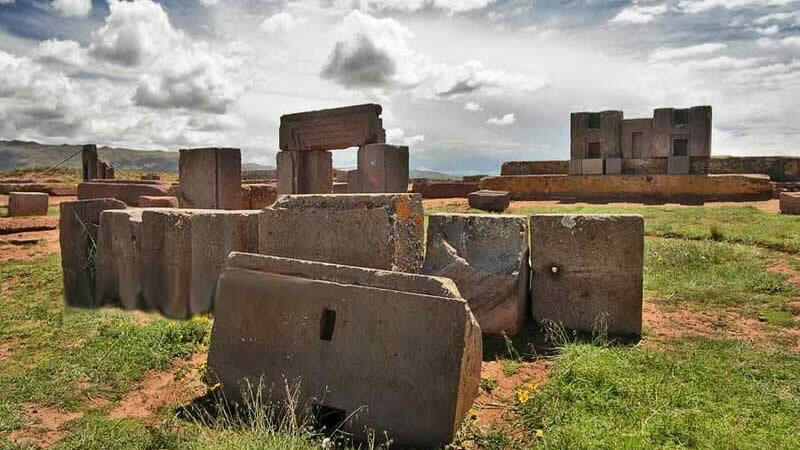 We offer you all the necessary information so that you may have a clear idea about the types of tours and itineraries on offer in the Uyuni region. The level of comfort expected during your Uyuni tour vs. the price. The amount of time you have available to visit the region vs. the tour itinerary. Tours in Uyuni can be private or shared. Shared tours are cheaper but a lot less flexible than private tours. The most popular shared tours in Uyuni are 3 days and 2 nights long. It is very hard to find a 2 day / 1 night shared tour or one that is longer than 3 days. Shared one day tours of the Uyuni Salt Flat leave daily around 10:30 a.m. from the city of Uyuni and end around 18:00 at the office of the tour operator. Some operators include pickups from the airport, your hotel or the bus station in Uyuni. Buses usually arrive in Uyuni around 07:00 a.m., so you can have enought time in Uyuni to have breakfast, change money and buy some things you may need during your tour. Flights from La Paz to Uyuni arrive from 06:30 a.m. to 09:15 a.m., which allows you to join a shared tour the same day as you arrive in Uyuni. Shared tours are designed for 6 passengers who are accompanied by a spanish speaking tour guide. The vehicle has 3 rows of seats. One passenger sits next to the driver, 3 in the second row and 2 in the third row (which has somewhat less room for the feet). Pasenger luggage is generally stored in the tour operator's office until the tour ends. You only take with you the items you will be needing during the tour. Lunch is offered during the tour. Drinks are included in the rate. A vegetarian menu is available at no extra charge. The price of the tours offered varies between 45 to 70 USD, depending on what services are included, the quality of the vehicles used and how complete the tour itinerary is. As in the one day shared tour, some operators include pickups from the airport, your hotel or the bus station in Uyuni. The 3 Days / 2 Nights shared tours leave starting from 10:30 a.m.. Shared tours wait for the tourists to arrive by road or air the same day as the tour, so that they can join the group with whom they will share the vehicle with. Also, it best to visit the Salt Flat when the sun is higher up and the salt crystals shine more. Shared tours are designed for 6 passengers who are accompanied by a spanish speaking tour guide. The 4x4 vehicle has 3 rows of seats. One passenger sits next to the driver, 3 in the second row and 2 in the third row (which has somewhat less room for the feet). Generaly, passengers rotate the seats so that the relative discomfort of the 3rd row is shared more evenly. There also tours that include an english speaking tour guide. These tours are designed for 11 passengers travelling in 2 vehicles. The english speaking tour guide will travel in one of the vehicles. Full meals are offerde during this tour. Drinks are included with each meal. The first day lunch, tea and dinner is offered. The second day includes breakfast, lunch, tea and dinner and the third day breakfast and lunch. Meals are filling. A vegetarian menu is available at no extra charge. Accomodation during the tour is basic. The first night of the tour is spent in a hostel with double, triple and quadruple rooms with private bathrooms. There are showers with hot water separate from the rooms, these cost 10 Bs.- to use. The hostels have no heating or Wi-Fi. Cell phones and cameras may be charged at the hostels for an additional 10-15 Bs.- per device. Accomodation for the second day is at the Colorada or Huayllajara shelter, depending on availability. Both shelters are located inside the Eduardo Avaroa National Park and are managed by locals. The Colorada shelter is in front of the Coloured Lagoon. The tourists may walk to the Coloured Lagoon viewpoint and enjoy a beautiful sunset and the pink flamingos. The Huayllajara shelter is about 15 minutes away from the Coloured Lagoon. None of the shelters has heating and the toursits are given several blankets. We recommend you take with you a sleeping bag during the winter months of June, July, August and September. Both shelters are clean. During winter, however, it may happen that the waterpipes get frozen and little water is available. We recommend you take with you a water bottle for personal cleanliness. You may request to charge you cellphone or camera at the kitchen of each shelter. If you speak spanish, this will be easier as the locals do not understand english. Shared tours can only offer basic accomodation due to the large distances between the shelters and the hotels in the region. It is not possible to divide the passengers between the hotels and the shelters as too much time would be lost during the pickups. What happens if the passenger quota is not met for the 3 Days / 2 Nights shared tour? Meeting the quota is the direct responsibility of the tour operators. In order to fill the vehicles and avoid charging extra or having to cancel the tour, operators that offer similar services share passengers between each other. We recommend booking your tour in advance, enabling the tour operators to better organize the logistics for the trip. The advantage of booking in advance the shared tour is that you may verify the conditions and guarantees of your tour calmly. It is not recommended to negotiate with the tour operators right before taking the tour as they may not have availability and you could be forced to take the tour with an operator that you have no reference of. There is a high demand for tours including an english speaking tour guide, therefore we recommend that you make your reservation with sufficient anticipation. The price of the 3 Days / 2 Nights tours offered varies between 130 to 170 USD, depending on what services are included, the quality of the vehicles used and how complete the tour itinerary is. Tours that include an english speaking tour guide are more expensive as the price will also include the guide's services, food, accomodation and transport. See the detailed shared tour itineraries available here. The offer of private tours in Uyuni is varied. Below is a description of the main characteristics of the private tours. Private tours may be as long as the passenger desires. The itinerary can be adjusted to the interests and requests of the tourist. Private tours include private transportation. The 4x4 vehicle(s) ar assigned according to the number of passengers requesting the tours. The passengers can choose which hotels they would like to stay in. You may choose basic accomodation or decide to stay at the iconic hotels of the Uyuni region. Meals are included during the tour. In case you decide to stay at hotels, we recommend having dinner at the hotel restaurant. An english speaking tour guide can also be included. It is necessary to book the tour well in advance in order to confirm availability at the selected hotels. You can travel at your own rythm, making stops as often as you like for the time you desire. Private tours are ideal for travellers who would like to climb the volcanoes or include unique activities such as watching the sunset inside the Uyuni Salt Flat, stargazing, riding a bicycle inside the salt flat or at any time during the itinerary, parasailing inside or zip-line at the shores of the salt flat. Private tours are great for families travelling with children or senior travellers looking for more comfort during the tour. Private tours are by far the best option for large groups. The price per passenger will vary depending on how many people are travelling with you, the hotels requested and the itinerary. The amount of time you spend on your tour is directly related to the number of tourist attractions you will visit during your trip. The most popular private tours in Uyuni are the 3 Days / 2 Nights Private Tour and the 1 Day Private Tour of the Salt Flat. The main attractions of the one day tour are the majestic Uyuni Salt Flats and the Incahuasi island. The 3 Days / 2 Nights Private Tour allows you to visit the whole region of Uyuni besides the salt flat, including volcanoes, colored lagoons, geysers, thermal waters, deserts and much more. Travellers wishing to complete the whole itinerary or part of it on bicycle will need at least 7 days to finish the tour. Tourists interesed in climbing the volcanoes in the region will need at least 6 days for the trip. During this time you can climb at least 3 volcanoes. In case you have only 2 days availabale, you can visit the Uyuni Salt Flat and the Thunupa volcanoe or the minor lagoons. If you would like to focus your visit on the salt flat itself, you can wait for the sunset inside or return later in the evening for stargazing. You can also enjoy fun activities like riding a bicycle or a motorcycle, parasailing and zip-line. In case you wish to visit both the Salt Flat and the Colored Lagoon and do not have more than 2 days, there are private tours availabale for this route. The trip is a bit more tiring as the distance between these two attractions is substantial. The journey to Uyuni is quite long and there are a lot of attractions to see, so we recommend taking at least a 3 day tour of the region. You also need to take into consideration in your itinerary the amount of time it takes to arrive in Uyuni and to return to La Paz or another destination. There are daily buses leaving at night from La Paz to Uyuni. Travel time is about 12 hours. If you take the bus at 19:00 or 21:00, you will arrive in Uyuni in the morning, in time to start a tour the same day. 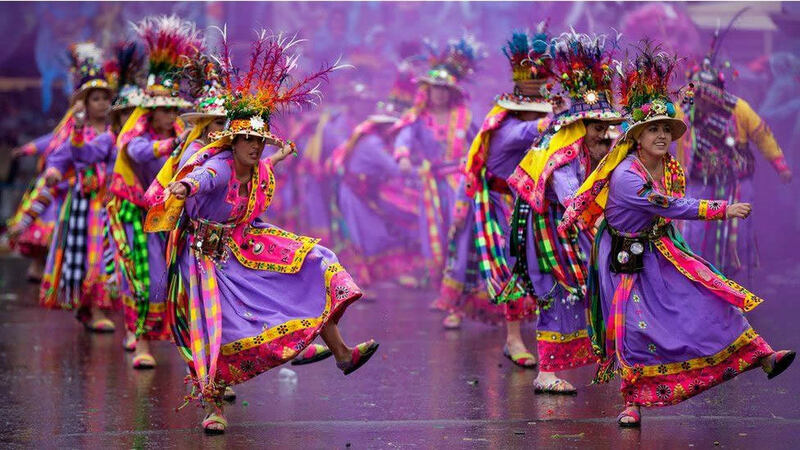 It is also possible to return to La Paz, Sucre or Potosí the same day as your tour ends. Buses leave from 19:00 and most tours end at around 16:00. If you prefer to take a direct flight to Uyuni, these now leave from La Paz, Cochabamba and Santa Cruz. Flight time to Uyuni is about 45 minutes to 1 hour. If you wish to start your tour the same day, you need to take one of the first two flights from La Paz to Uyuni in the morning. These flights generally have no delays. When is the best time to visit the Uyuni Salt Flats?